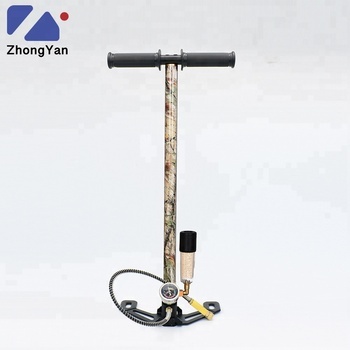 ZhongYan PCP PUMP is used for PCP cylinder, safe and convenience to bring outside for sporting.Its max pressure is 4500psi,much better than other competitors(3300psi).With the high grade 304 stainless steel pump body ,it is more safety than iron body sold by other sellers.What't more,it comes with O-rings and other complete accessories and it is suitable for most brand of PCP pistols, rifles and air guns. 1. How long your products' warranty is? 2. 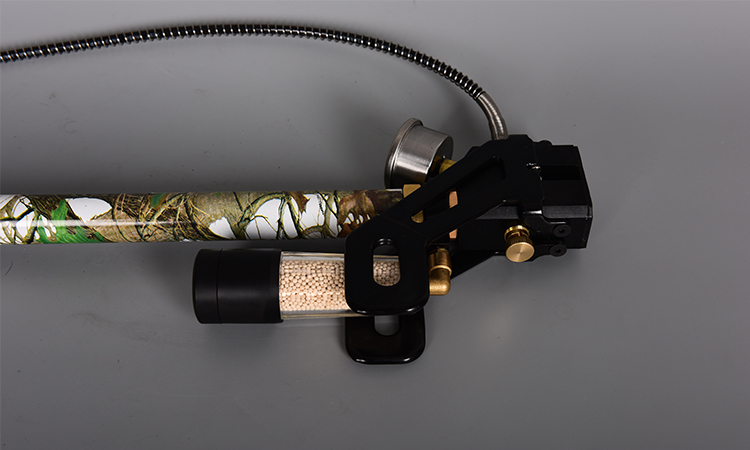 How many strokes the hand pump need to fill a cylinder to 4500psi? 3. How long the electric pump need to fill a cylinder to 4500psi? 4. What is the max capacity of cylinder the electric pump can fill? 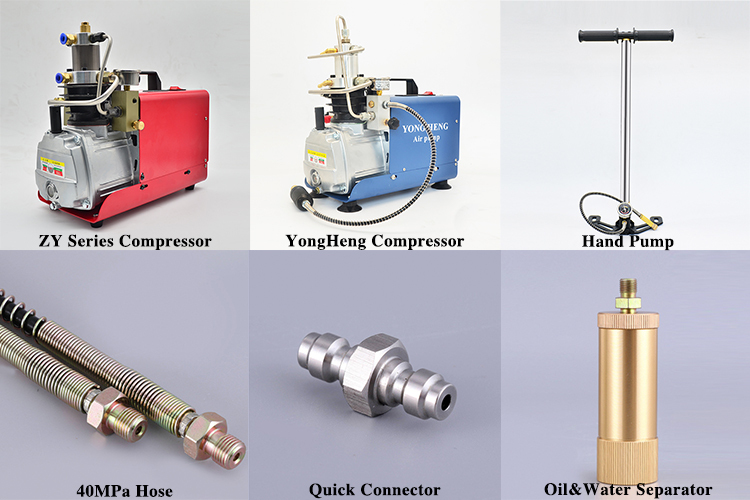 Our compressor is special design for small cylinder, like 68 and 88 cu in cylinder. 5. 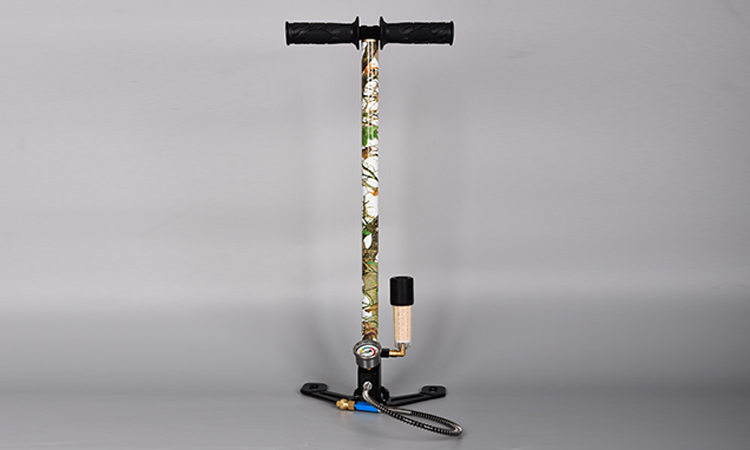 What is the different between 3 stage and 4 stage hand pump? 6. How can i palce an order? 7. What payment can you accept? 8. How long your products can deliver? Usually, The sample can be sent in 3-7 days, and bulk goods can be ready in 15-20 days.